It's an office building not storage with ground level retail. 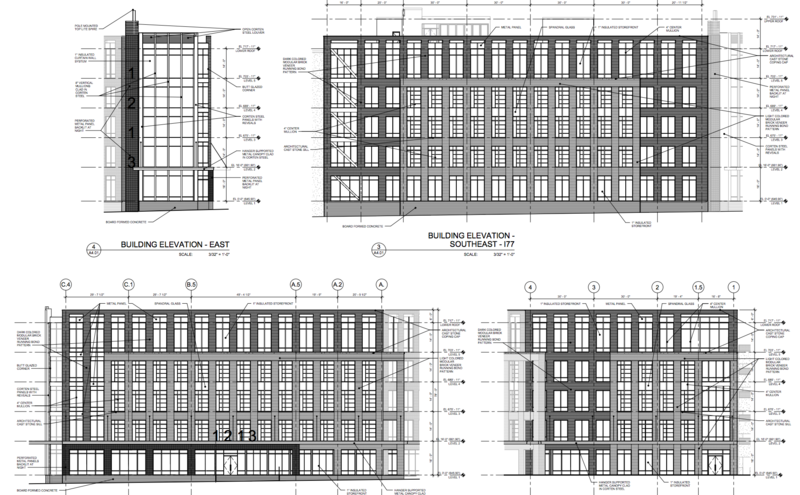 Not sure if this a new building or a new rendering of a building proposed but this looks like it will be starting soon. It is a great design in my opinion. 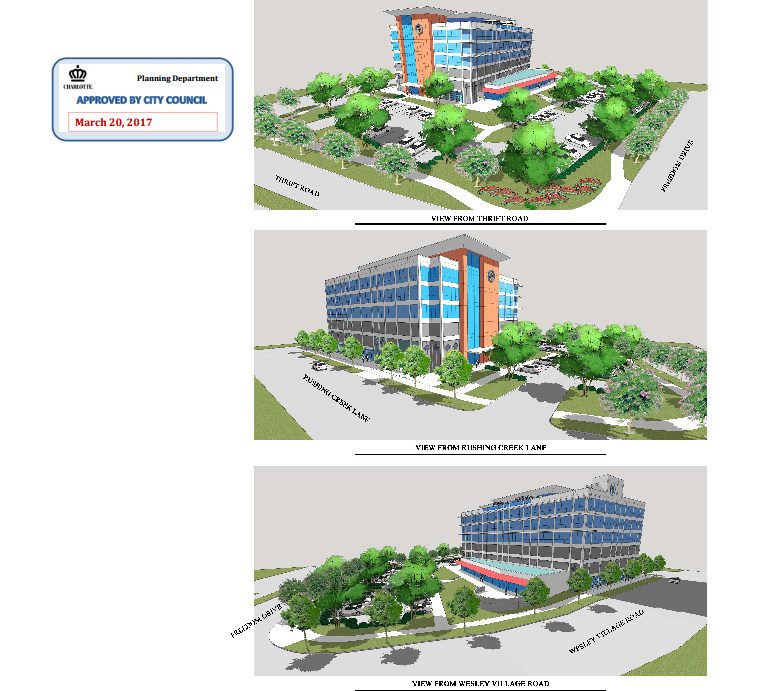 http://www.bizjournals.com/charlotte/news/2017/02/14/new-office-building-coming-to-morehead-corridor.html?ana=RSS%26s%3Darticle_search&utm_source=dlvr.it&utm_medium=twitter Evidently the original developers sold the site to this development partnership. Its a resign of 1213 West Morehead from a new firm. Originally it was CitiSculpt, here is the higher res image. Demolition started this morning on the building on the corner of McNinch and Morehead street (right outside of my condo, actually) - property appears to be 801 McNinch Street. Does anyone know what's happening there? There were apartments proposed there... I didn't think they were happening though. The elevator cores on the adjacent corner is for a super ugly PoMo, City Fair looking storage facility. I believe the original plan called for development from McNinch to Cedar, but the lot next to Cedar is currently being used as parking space for the storage building construction next to Steve's Motorsports. Quick question: after completing the demo of the previous building, why did the developers lay down grass? Why not just leave it as a dirt lot? This building on W Morehead between Cedar & McNinch is coming down. Demolition started on Saturday. The low brick building next to it, on the McNinch side, is already gone. Shame really. That low brick building is no loss but this one is a bigger loss. I was in Birmingham (again) and Chattanooga last week. Both have many old brick buildings. Chattanooga is very impressive with river access, bridges, topography. Reminds me a lot of Asheville, very funky. What we have lost in Uptown I guess is irretrievable but I'd love to see someone build new with materials and scale that mimic what we lost. 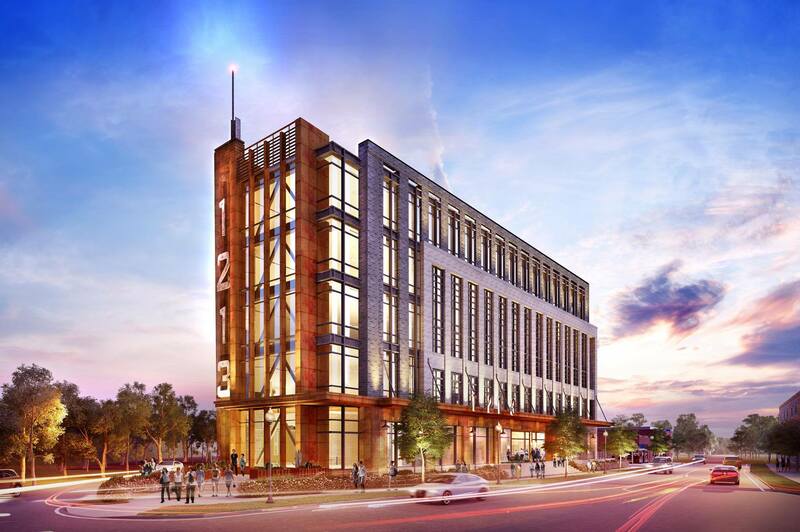 According to the article, the office building with rooftop retail at Freedom and Wesley Village was approved. That was a quiet approval. These apartments will have awesome views of the skyline. Here are the renderings of the office building from the approved site plan. What does rooftop retail mean? It was initially announced to have a rooftop restaurant. That highlights a little disappointment I have with this - the height. A roof top restaurant, the closeness to the creek here, and the views of uptown BEG a more dense project, I think once complete they could demand a corresponding premium in lease/rents to justify it. And of course preserve every single tree possible, the canopy here is spotty but in recovery. These new apartments proposed look like they are next to the grassy overflow parking lot for Pinky's if you look at the site plan image in that article. This project fronts West Morehead too right near the creek. Got a lot of stuff today. 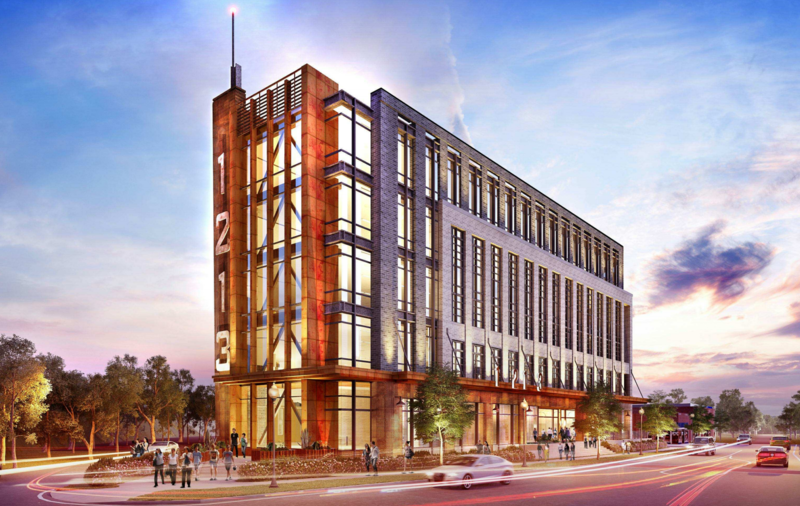 Here are the Bid Docs for "The Refinery" Hopefully this building's materials stay amazing. 90 feet is going to stick out nicely from 277.